Have you gotten emails asking you to transfer thousands of dollars into your account, or offer to pay you in cashier’s checks if you send cash, or help a dying person who is looking for you to give his money to charity? If you have, any and all of these (and more) are scams. Replying to a scam email and pretending to believe them and do what they’re asking is called scambaiting. Wasting these criminals’ time is seen in many circles to be a form of vigilante justice—but one with a bonus. If scammers are busy dealing with bait, these thieves don’t have as much time to scam someone new. BUT, if you’re going to play, do so carefully. 2. Set up a new email account under a false name. Micke says you can reply to the original spam email using this new email address—scammers send so much email, they won’t likely notice the reply address is different. Not only will this add a layer of protection, it’ll keep your regular email inbox free of this spam. 3. Never, ever meet these people in person. Obvious advice, but it deserves to be on this list. 4. Be prepared for potential consequences. The website 419eater, dedicated to combating email scams, warns that you are dealing with real criminals and should only scambait if you’re prepared. You could be on the receiving end of some off-color language once a scammer realizes their time was just wasted, and possibly even threats. If you receive a threat, the Better Business Bureau suggests you contact the police. 5. Consider learning a few tricks of the trade you hit reply. 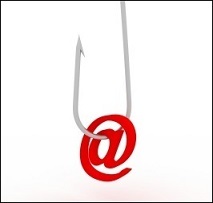 The scambaiting community does offer hints and tips to offer the newbie. One of the most referenced websites with resources is 419eater.com.